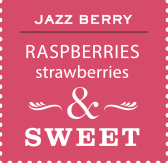 We thought outside the grape to create our Jazz Berry - a red wine that harmonizes the pure juices of strawberries and raspberries with a touch of grape. This unique blend has vivid fruit flavors and a sweet/tart finish that leaves you refreshed. Guaranteed to enliven even the most rigorous social occasions, Jazz Berry plays on the palate with the raucous harmonies of old world jazz. Enjoy a glass and grab a dance partner! 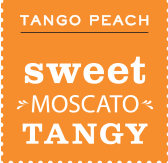 This alluring blend of peach and Moscato wines beckons you into a world of music and mystery. Honeyed aromas of peach, citrus, and melon glide across your palate, followed by a seductively sweet flavor with a hint of tartness. Legend has it that dancing the tango makes people feel happier, sexier and more relaxed. May we suggest that drinking a glass of chilled Tango Peach will have the same effect? A sweet, light bodied red wine with a zesty blend of citrus and spices, our award winning Viva Sangria is the perfect complement to the lighter side of life. It's ready to serve right from the bottle, or add sliced fruit (oranges, lemon, peaches), a bit of soda water and even a touch of brandy in a festive punch bowl. 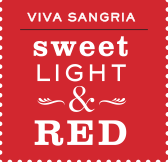 Viva Sangria will enliven any party, afternoon picnic, or a day at the beach. 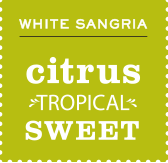 Our White Sangria is like summer in a glass. Lighter and crisper than its ruby cousin, with tantalizing notes of tropical fruit and citrus, it is a wine for all occasions. It can be sipped by itself, paired with sweet and spicy foods, or for that olé feeling add a few mint leaves and slices of citrus or melon and serve over ice. A blend of Zinfandel and blueberries…this wine is truly an original zin! It is bursting with bright aromas, bold, jammy fruit essence, and a sweet finish tempered by lively acidity that leaves you wanting more. Serve at room temperature or slightly chilled to accentuate its freshness, you can also add some ice cubes and a dash of soda water to make a sprightly wine cooler. 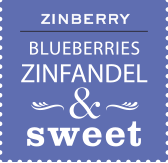 Zinberry is the perfect wine for kicking back and watching a ballgame with friends. This sweet, hearty blend of red wine and natural spices can be served to warm the soul on cold winter nights, or enjoyed over ice to rejuvenate the spirit on hot summer days. 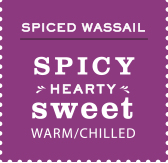 Gently heated on the stove or in a crock pot, Wassail's heady fragrance of spices and wine will fill the room with a festive holiday mood. Carry a thermos with you for walks in the country, sporting events, and parties by the bonfire.